Was this sampled from the original bottle? @Nozinan, no, the whiskey was transferred to another bottle. @Victor What an interesting scenario... what would @paddockjudge have to say about something like that? @Nozinan, I am not sure what it is that you are asking. Some donors like to remain anonymous. @Nozinan, I understand, but what do you think that @paddockjudge would say about that? He is certainly welcome to tell the tale if he wants to. Thank you for the thorough and informative review. I’d say most JB White I’ve had falls around where you’ve scored this one; between 75 and 80 points. I’ve always noticed a bit of a citric note with Beam White Label that I quite like. In fact, JB White on the rocks with a wedge of lime was my go-to drink for a long time. When I wanted to get crazy, I’d buy JD Old No.7 and make the same drink. I have a soft spot for those two mass-produced ‘Merican whiskies. 10 months ago 4Who liked this? I have owned and consumed several, several bottles of this in my early years of college before I really appreciated whiskey. Never, not once, could I have drank this without mixing it. It's great to see a reviewer like you @Victor weigh in and review this whiskey. Everyone knows this whiskey and can use your review as a context for your other reviews. I'll also take the time to state that in Australia this is bottled at a sinfully low 37% ABV, making it thin and woeful neat. The recent release of the Jim Beam Single Barrel Bourbon and the Jim Beam Bonded (Bottled in Bond) Bourbon makes me think that the 'talent pool' of barrels remaining to be used for Jim Beam White Label is probably now even further thinned out than it had been in years past. I was very impressed by how the quality of Jim Beam Yellow Label Rye dropped off precipitously when the Knob Creek Rye was introduced. The cream of the best barrels of Yellow Label Rye had been skimmed off for a new product now sold for twice the price of the Yellow Label Rye. It looks to me that all of the market forces are working to exert pressure to put a lid onto the quality of Jim Beam White Label Bourbon going forward. With Scottish malt whisky, the lesser barrels are mixed into blended Scotch. With bourbon, the lesser barrels are sold as young 40% ABV inexpensive products designed for mixing with sodas or into cocktails. In both cases the idea is the same: the product is lacking on its own, but mixing/blending the whisk(e)y with other things disguises its flaws and makes it taste somewhat better than it would taste if it were appraised solely on its own merits. I think that it is critically important for a person to know what the whiskey product which she or he is considering buying was designed for, and what a reasonable expectation would be for its level of quality. These spirits companies are businesses. They need to sell all the product they make. Only 1% of that product is top 1% quality. Only 20% of that product is top 20% quality. The rest is sold for lesser amounts of money for lesser purposes, and with generally lesser customer satisfaction resulting. A whiskey connoisseur will usually only want to buy the better products available. Scottish malt lovers seem to often forget in their "single malts are of superior quality" that they are typically drinking only the top 20-30% of the barrels/casks of single malt, because the remaining lower 70-80% quality of barrels of malt are well-disguised in the (by those same malt connoisseurs) poorly received 90% of Scotch Whisky, called Blended Scotch. 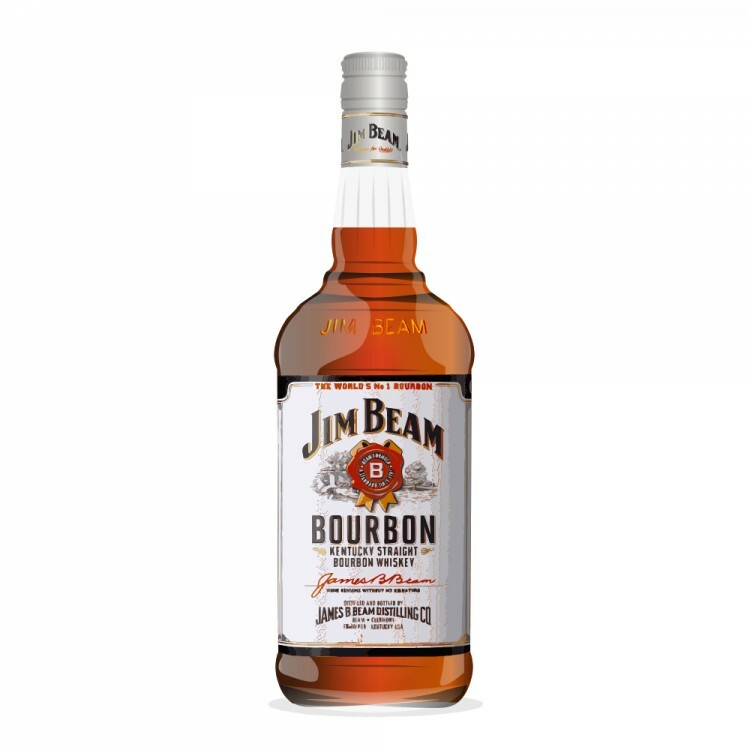 From a large distiller like Beam Suntory 'the better products' gives a still large selection of excellent and very good choices, but Jim Beam White Label is not likely to be one of them. That prompts a question in my mind: Does anyone know whether any Scottish malt distilleries sell their product exclusively as single malt? @MadSingleMalt, I do not know whether there are any Scottish malt distilleries which sell only single malt. I too would like to know. I'll bet that every single one of them has barrels which they don't want to use and dispose of privately to some blenders. Even the US malt whiskey distiller Stranahan's in Denver now combines some of its 'single' malt with MGPI bourbon to make the blended whiskey known as Tin Cup. Tin Cup has its fans. I am not one of them. As far as “best casks” of single malt sold as single malt, I feel it bears noting that “better” refers to these “higher quality casks” working on their own. The “lesser casks” may be too strong/weak in some aspect of taste or aroma, but that doesn’t mean they can’t bring something worthwhile to blends or that they’re inherently inferior.I feel like good whisky blending doesn’t get the respect it deserves. I mean, nobody is going to argue that the best stuff is ending up in J&B Rare (which is truly a dumping ground for Diageo’s trash), but I feel like some blends really are more than the sum of their parts. @OdysseusUnbound, is that a hunch, received wisdom, or experience talking? @Victor, I want to say that I heard all of Lagavulin's output was sold as single malt. (Note that I'm not saying it all goes into their OBs—some of their stuff is obviously sold off to IBs, even if it's not always labeled as such.) But I heard that a very long time ago and I'm not willing to put much stock in it today. Besides, didn't they expand production? Even Springbank, who is my usual suspect to answer any question about which distilleries are exceptional, markets a blend or two of their own, so they too have a dumping ground for their sub-par stuff. @MadSingleMalt, was White Horse Blended Scotch discontinued? That one contains Lagavulin. @Victor, the only White Horses I've ever seen are in pictures posted online by auction-buyers. If they do still make it, I would want to see some credible source before believing it's still made with Lagavulin. Totally possible, of course—for all the reasons you posted above. But also somewhat unlikely given the demand for Lagavulin. @MadSingleMalt, I don't know how to prove the distillery of origin for the malt, but we still have lots of NAS White Horse Blended Scotch for sale in my county's liquor system. $ 16.99 x 1.09 for 750 ml; $ 34.99 x 1.09 will get you a 1.75 L handle. @Victor, well whaddya know! Maybe I just never looked on the right shelf. In lieu of any concrete info, do you know whether the rumor-mongers still claim any Lagavulin component? @MadSingleMalt Maybe experience and some hunches. I’m not that big on received wisdom. @MadSingleMalt, I don't have any new or very recent information on that subject. I shall probably never buy a bottle... but nice to see an accomplished review of a very 'common' whisky - in line with the call for more reviews of e.g. the more available Japanese drams. Cause whilst I always enjoy reading about the extraordinarily rare and extortionately costly expressions... I do also come here for just regular purchasing inspiration. Thank you Victor. Thanks @Victor for a very in depth review! I like what you say about batch variation. I bought a bottle of this the year before last and it was dreadful, truly dreadful. All wood and spirit. Ice didn't even help and I ended up donating it to my Mum, who, to be fair, thought it was OK.
Fair to say I had a particularly bad bottle. Reckon 60 would have been generous. @RikS, @RianC, you are welcome! It is very important that reviews be done of products that many people will see and actually consider buying. Yes, very basic whiskeys rarely say, "This whiskey is meant for cocktails" (DO NOT SIP!) on the label. Beam makes a lot of very good bourbon, if you stick to the premium and super-premium releases. Jim Beam Black Label is usually not much more expensive than the White Label where it is sold, but it is a very large step up for the purpose of sipping. The Jim Beam Small Batch Collection whiskeys, Booker's, Baker's, Knob Creek Single Barrel Reserve 60% ABV, Knob Creek Bourbon 50% ABV, Knob Creek Rye, and Basil Hayden's Bourbon, represent good value. You want some good Beam bourbon? Get some Booker's, Knob Creek Single Barrel Reserve, or Old Grand-Dad 114. Old Grand-Dad was an established line acquired by Jim Beam in the 1980s which has a higher rye content (28-30% rye) than the standard Jim Beam mashbill (15% rye). Both the Old Grand-Dad 114 and Old Grand-Dad Bottled In Bond 100 proof are well worth having. Stay away from the 40% stuff. Booker's might not turn out to be your favourite whiskey, but I promise you that you will not be UNDERwhelmed by it! If you want to know Jim Beam, try some Booker's! "WHITE HORSE Blended Scotch Whisky is a fine matured blend containing at its heart the unique flavor (sic!) of LAGAVULIN single malt whisky from the island of ISLAY in the Hebrides." @Victor - I got lucky a few months back and picked up a Booker's for an excellent price (all things considered). Can't wait to try it - will probably wait for Xmas now. What with this 25% EU tariff on US spirits coming into effect soon I'm glad I did as buying bourbon might have to be off the menu for a while . . .
@RianC, your bottle of Booker's is of a proof which will hold up well after the bottle is opened. The intensity of Booker's will likely lead you to drink it sparingly, too. I think that you will be happy if you open it soon, in keeping with the tastes of many to drink bourbon during the warmer weather. If you try some now, I expect that you will still have some left for Christmas. One thing to note with Booker's: the batches vary quite a lot and have individual personalities. So knowing one batch of Booker's is most definitely not knowing all batches of Booker's. Most but not all batches of Booker's are excellent. @Victor When I first tasted Booker's in 2014 I was sure that it would be my go-to bourbon forever more. Even then, my first bottle lasted over a year. Then you and @paddockjudge corrupted me further and I no longer have a go-to bourbon, there are too many that I like... so it is a rare bottle that will last less than 2 years for me now, unless it's so good that I have to get samples to all my connosr friends (like OGD 114). @Nozinan, experience changes everything, does it not? One does not know what a genre has to offer until one experiences for oneself the better examples of that genre. I always like to compare whisky appreciation to understanding the quality of gemstones. When I browsed the Bangkok sapphire stores it was looking at the $ 20,000 stones, not the $ 50 stones, which made me understand what to look for in a sapphire. @Victor - Well you were right about opening the Talisker 57 North so maybe I'll take the bait . . .
@RianC, the tools to broaden your world right now lie completely within your own hands! Experience what lies within your reach. Booker's has blown quite a few minds, especially those who have said, "That doesn't taste like Jim Beam White Label!" No, it doesn't. @GoHabs, peanut? Interesting. I can't say I have ever tasted peanut in bourbon, or in any other whisk(e)y. I don't go advising anybody interested in buying a bottle of bourbon to buy a bottle of Jim Beam White Label, either, though I have known people who liked it. That surprised me at the time because these were US people who had access to many good inexpensive alternatives to Beam White Label. I think that the best way to understand bottom shelf bourbon is to see its parallels to inexpensive wine. As with wine, and especially in the US, it doesn't usually take much of an additional financial investment to greatly increase the level of the quality obtained when buying bourbon. The big problem is that the cheapest most mass-produced stuff usually makes its way around the world first and often acts as the only ambassador for the brand in places where selection is low. For a US resident with a plethora of bourbons omnipresent it is a 'no-brainer' for a whiskey-lover to select Jim Beam Black Label or one of the Beam "small batch" products over Jim Beam White Label. 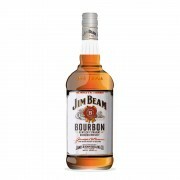 It would be accurate, I think, to describe Jim Beam White Label as Jim Beam's mass-market blending bourbon, and Jim Beam Black Label as JIm Beam's mass-market sipping bourbon. Of course, Knob Creek and the other "small batch" Beam products are also "sipping whiskeys", but what Jim Beam Black Label has is a domestic price point only a few dollars higher than the price point of JIm Beam White Label. If Jim Beam White Label represents roughly the bottom 60% of barrels of Beam's standard mashbill bourbon, then Jim Beam Black Label probably represents the 60th to 80th percentile of their barrels by quality.